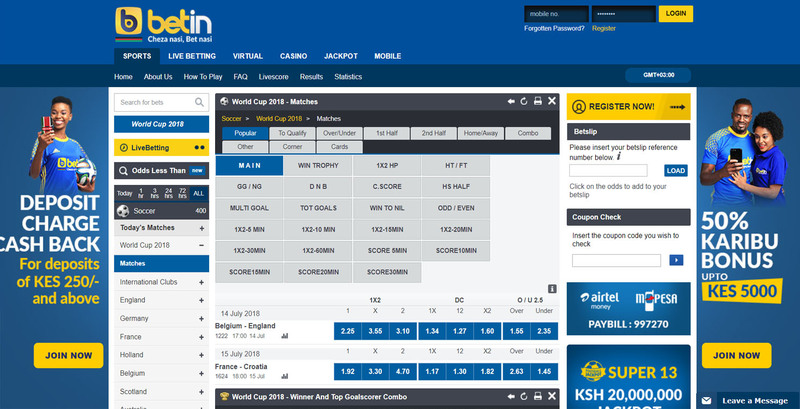 Betin: A Good Sportsbook for Kenyans and Europeans? 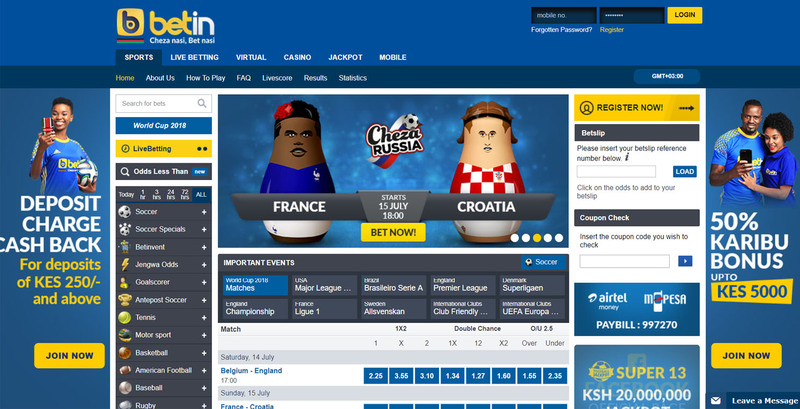 Betin, a Logispin Group gaming site based in Kenya, provides an extensive list of betting markets for sports in Europe and across the globe. Apart from the sportsbook section, there are casino games that can give punters some alternatives to sports betting. The betting site appears to cater only to Kenyans because of its limited payment options. Are there a lot of perks for Bitcoin sports bettors in Betin? Read the review to get more details on the gaming site. Betin provides various promotions that you can expect from any good sportsbook. You can find these in the company’s social media feed. This is the betting site’s welcome treat that gives you 50% bonus up to 5,000 KES. To qualify for this bonus, you need to make a deposit of at least 300 KES. You can cash out this incentive after betting the amount and the deposit on any sportsbook wagers with cumulative odds of at least 3.00 or higher. The bonus funds are valid for up to 30 days upon receipt. Punters are charged 22 KES when making a deposit with M-Pesa or Airtel. Betin aims to make it easy for you by paying you back any deposit charges you paid when you funded your account. This promo is valid if you made a deposit of at least 250 KES. Unlike other Bitcoin sports betting websites, Betin’s official online portal does not have a section dedicated for the listing of promotions and other bonus deals. What you can do to get updates on the latest perks offered by the sportsbook is follow the brand’s official social media accounts. As a sports betting site, Betin covers the essentials. You can find betting markets for more than 20 sports. There are even odds for popular events like the FIFA World Cup and the French Open. There are betting markets for motorsports like the Formula 1. Apart from money line wagers, you can find prop bets for certain sporting events here. While the selection of betting markets is decent, there is still much room for improvement. For example, there are no markets for esports like The International or Dreamhack on the site. Another problem that some punters will not like about the website is its lack of customization. You cannot change the odds format from decimal to American or fractional. Betin’s provides only two deposit/withdrawal options: M-Pesa and Airtel Money. Both services are for fiat payments only. To deposit money into your account, find the paybill number for your account. You can find this number in the deposit section of the website. Use your paybill on either Mobile payment method in order to make a deposit. Many who live outside of Kenya may not be familiar with a paybill number. There are no guides or help links present on the deposit page that can easily tell anyone how to use the paybill number. To cash out, you have to send your money to the mobile number you entered when you created your account. Withdrawing your cash is straightforward at Betin. The problem comes from the semi-permanent phone number of your account which you cannot change on your own. You need to contact customer support to have them change your account’s mobile number. Betin: Is It Worth It? The sportsbook has a good selection of betting markets for both Kenyans and international punters. Even the live betting feature covers many sporting events from around the globe. Otherwise, there are other sportsbook that provides an extensive number of markets like esports. Kenyan players are clearly in the operator’s mind when the sportsbook was built when only two payment methods are provided. In addition, the site does not have a license which can protect you and your money. 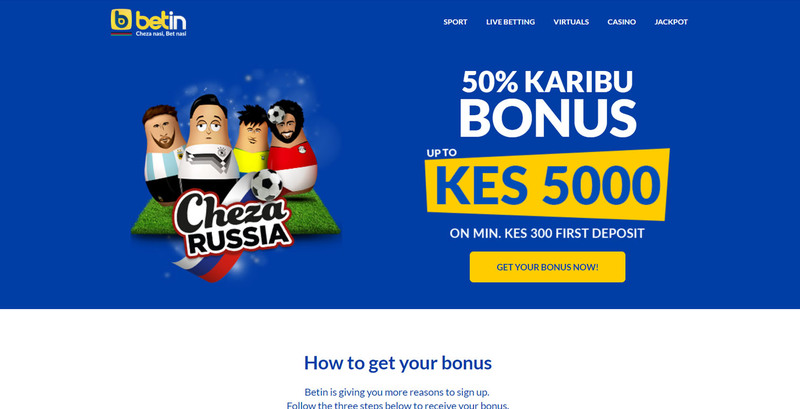 While some punters might find a way to use M-Pesa or Airtel Money, majority of bettors will likely consider a different sportsbook that will accept various payment methods and have legit licenses.